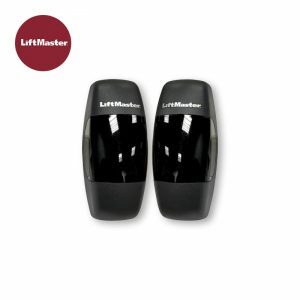 LiftMaster have developed one of their finest underground gate kits with excellent reliability as the motor is waterproof and is permanently lubricated for ease of operation. The Sub300 offers built in adjustable hard stops so that additional hard stops set in to the ground are not necessary (though we would always recommend them in case somebody tries to push open your electric gates). 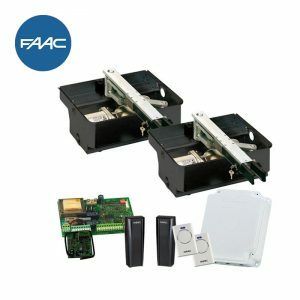 The electric gate motors have steel foundation boxes which are buried in the ground under your driveway beneath the bottom corner of your gate. The boxes act as a support for the gate, replacing the traditional bottom hinge – the boxes can be installed prior to installing the motors. 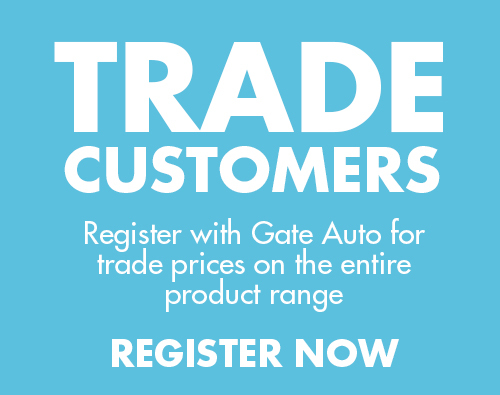 The boxes are covered over with a stylish steel cover and that is all you will see of these motors unlike other more obvious gate automation kits using visibly mounted arms on the back of the gates. As standard this operator will open to a maximum of 110 degrees, but if you need a wider opening we can offer a special chain adapter that will allow the gates to open to 180 degrees (please note that this will also require external hard-stops) please call us on 01282 677 300 for more information on these. In the event of power failure, SUB operators come with a manual release key which allows you to open and close your gates without the power connected.